Happy Mothers’ Day to all the mothers – both physical and spiritual mothers! To those who may have lost babies before getting to meet them, and to those who have buried their babies (no matter the age), and to those who have not yet been able to conceive, a special Mothers’ Day wish is extended. If you are a woman, regardless of children, today is for you. As we approached Mothers’ Day, I kept thinking of the Mother of God, and how she had to have been tormented her entire motherhood – to know her son would give His life for the world must have cast a bittersweet pall upon her motherhood. However, I don’t think she dwelled on the impending suffering she, and her son, would endure. Yet, in the darkness of night, when Jesus and Joseph were asleep and she was tending to her thoughts as only a mother does, I’m sure she had plenty of time to reflect on what was to come. Immaculee Ilibagiza introduced Mary as, “Our Lady of Sorrows,” to readers of her book, Our Lady of Kibeho. According to the book, The Rosary of the Seven Sorrows dates back to the Middle Ages, so there must have been recognition of Mary under that title which, throughout the years, waned. This title of Mary was renewed after her apparitions in Kibeho, Rwanda in the early 1980s. More information on the devotion to Our Lady of Sorrows can be found on this handy booklet, and a more comprehensive detail can be found in Ms. Ilibagiza’s book. As mothers, when we boil down our intentions for our children, they are fueled by wanting our children to do their best and to succeed in life. Our intentions are ultimately rooted in love. Most mothers love their children unconditionally. Our Lady of Sorrows had to live with daily knowledge that her son would give His life for the souls of us all. I must wonder how much support she had from other mothers, and how much she would have held, “in her heart,” instead of sharing with her girlfriends, family, and loved ones. Chapel of Our Lady of Sorrows at the Basilica of the National Shrine of the Immaculate Conception in Washington, D.C. In the end, she stood at the foot of His Cross. She watched as her child took His last breath. And, she never lost faith – in herself, in her son, and in God. She remained steadfast – in God’s plan for her, and in God’s plan for His Son. I want the faith Mary displayed. I want to know that, come what may through all the trials and tribulations of adulthood, and motherhood, I will have the faith to rest in His plans, even when they are unclear. I want to be able to face motherhood with the strength she endlessly displayed. At the end of the day, Happy Mother’s Day to the mother from whom I draw the most example – Mary, Mother of God. 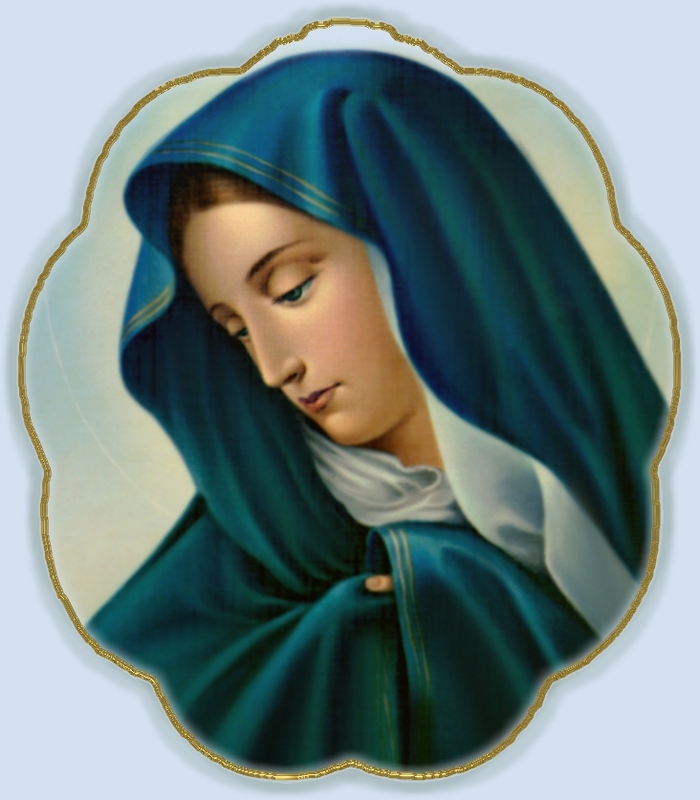 Posted on May 8, 2016 May 16, 2016 by Anni HarryPosted in Adventures in Parenting, Faith, Mary ProjectsTagged catholic, Catholicism, christian, Faith, Family, God, Jesus, Mary, Mother of God, Mother's Day, motherhood, Mothers, Our Lady of Sorrows. Thankyou so much for visiting my site and leaving your comment. I’ve just coming back from doing one of my several times a night check if they’re both breathing. Wow did this resonate. I’ve never felt closer to Mary. God bless. Thank you so much! I definitely know those checks!! Enjoy your week! Thank you for these words! As a mom facing a future of certain but largely unknown suffering because of our daughter’s diagnosis, I appreciated the connection to Mary. And those Marian images are beautiful! I’m so glad you enjoyed this!! I’ve struggled to come up with words this year, but this post is my favorite. And, these images are some of my favorite – especially the last one!